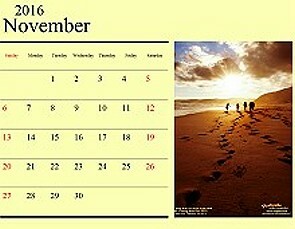 (see last issue for more) For more trailers, news and reviews, see our Facebook pages. Each year in May there is a scurry of feet to the foreshore of Melbourne as film goers, film makers and the newbies hurry down to St Kilda to watch the best 100 best Australian shorts on offer. It is of course the annual St Kilda Film Festival. It starts on May 19th with the traditional Gala opening night event, at the jewel in the Port Philip Council's crown, the divine Palais Theatre. It takes to the field running with the rest of the programme of films, forums, workshops and couch conversations at the St Kilda Town Hall till Saturday May 28th with the closing ceremony. The St Kilda festival is the grand dame of Australian short film festivals. 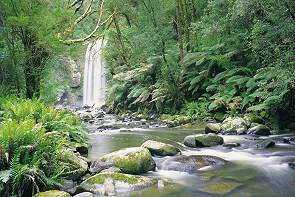 It is credited as the longest running publicly owned film festival in Australia. When I look at the programme on offer in 2016 I remember the heady days of the 1970s and 80s in Melbourne when the Festival began its life. It was a time when the push for Australian culture to be expressed by Australians in film, a medium you normally got from the English or Americans, was strong. It was hands on and punk at heart. Paul Harris, St Kilda Festival director and indeed the arbiter of the Best 100 Australian short films at the core of the festival, was part of a cultural movement which started a festival designed not only to bring viewing pleasure but to act as a fulcrum to grow Australian film-making talent by not only giving a venue for their work but to give them a chance to build on success at the Festival. You can see that passion still hums in the being of the festival today by look at the programme and what it includes. Let's look at what you get for the ticket price. The St Kilda Film Festival is kinda actually a film lover's feast that has been tailored by Festival Director Paul Harris with the eye of the ultimate Film Butler. There is the pacing of the marathon of 100 selected best Australia shorts to the pinch of spice given with several, special filmic outliers and then running a long side you have forums and sessions called the Filmmaker Development calendar for those who want to get out of the auditorium seat and put something up on the screen. First from the point of view of a film watcher. It is the best form of movie marathon you can get. All new material all hand-picked by a film critic of mercurial and broad taste and indeed fine filmic acumen. The Festival has broken the marathon down to fourteen sessions of seven or so films with some of the sessions themed so you can catch your genre of choice or enjoy a variety session for a taste of all the short film flavours. So here you have the crossover of media modernism that you get when you blend a sense of radio and the movie theatre which epitomizes Paul Harris who you can hear talk film on Film Buffs Forecast every Saturday on 3 RRR. It is part of the flavour that gives the Festival it dynamic edge for a film junkie. It should be remembered that one of the important things about the films you are seeing by emerging artists and accomplished industry professionals, is that they are all competing for over $50,000 worth of prizes. So this is also a point where the watcher and the film maker intersect. Your opinion counts. Sprinkled through the 10 days of the Festival are a number of special short film programmes. Some are the result of the networks and new directions the St Kilda Festival has been developing over the last few years and longer. There are two big overseas inputs and several important local items. The first overseas item is a session put together for the St Kilda Film Festival by the Palm Springs International ShortFest showcasing international shorts from the biggest short film festival and market place in America. The second is a session called the Fandor International Showcase. Launched in 2010, Fandor is an American subscription film service and social-sharing platform. Fandor specializes in independent and international films of all durations from 1895 until the present (Yes they said 1895!). Many of the service's more-than-8,000 films are outside mainstream channels and represent hundreds of genres. The Festival has worked closely with Jonathan Marlow, Fandor founder and Chief Content Officer, to bring festival-goers a hand-picked program of award-winning independent films from across the globe. Locally there will be a retrospective of Indigenous filmmakers with work by Tracey Moffatt, Warwick Thornton and Richard Frankland. Seriously if you haven't seen Tracey Moffatt's Nice Coloured Girls this is your chance. These films have been brought to the Festival with the collaboration of the Australian Film and Sound Archive. Harris has also programmed a session called Lost Laughs From The Past. Indie cinema from the 70s' Buckeye and Pinto (1977) and Terror lostralis (1978). The films were a collaboration between enfants terribles Phil Pinder, Mitchell Faircloth, Tracy Harvey, Simon Thorpe, Gary Adams, David Shepherd and Nino Gaetano Martinetti. If Punter to Punter, the Whittle Family or indeed the Last Laugh mean anything to you, you will want to be in that audience. That of course isn't all that's on offer in terms of film watching but I have only a certain amount of room and I have kept the best for last. The program of forums which are open to anyone and a perhaps more focused, free but need to RSVP by May 13, sessions directed more particularly to filmmakers are the best indication of where Harris and his teams punk heart are. It is with the creators and the creators getting to their audience. The range of industry professionals who are involved in these sessions is a testament to the importance of this festival to the health of the film industry in Australia. A ticket to this festival is worth every penny. Annie McLoughlin is a freelance journalist who contributes regularly to radio station 3CR and to Festivale. Links to movie reviews, and first looks are in the Coming Attractions listings were available. For the latest film reviews, check out our updates pages or browse through our film reviews index. We update the Festivale Online Magazine Facebook page daily with trailers, news, and more. Watch here or our general page or our specialist Facebook page for Movies, Television and DVDs for more giveaways as they are released. 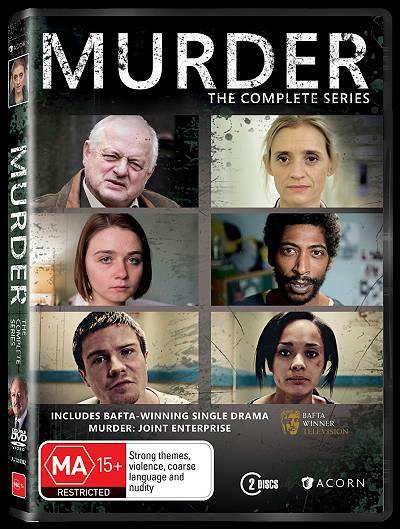 Thanks to RLJ Entertainment, we have five DVD sets to give away of the excellent television series Murder. BBC's BAFTA Award winning 4-part series, MURDER, throws a stark and unsettling light on four separate cases titled Joint Enterprise, The Third Voice, Lost Weekend and The Big Bang. Rich in forensic and psychological detail, with a unique depth of characterisation, each of the films pick apart a murder in all its terrible complexity, hearing the story from every angle and casting the viewer as a jury-member forced to decide on guilt and innocence. Mixing techniques of documentary with the power, invention and breathtaking visuals of drama, these haunting and graphic 'whodunits' live long in the mind. Murder: The Complete Series will be released on DVD nationally from June 1st. Here's the deal, gentle readers. WIN a copy for yourself AND a friend. First name drawn by our computer wins two (2) copies, the second name gets one. Aussie snail mail recipients only. To enter, click facebook or your e-mail in the box below, enter your name and e-mail address (just so we can contact you, no mailing lists), then (here's the tricky part) click the click here button AND the Enter box. 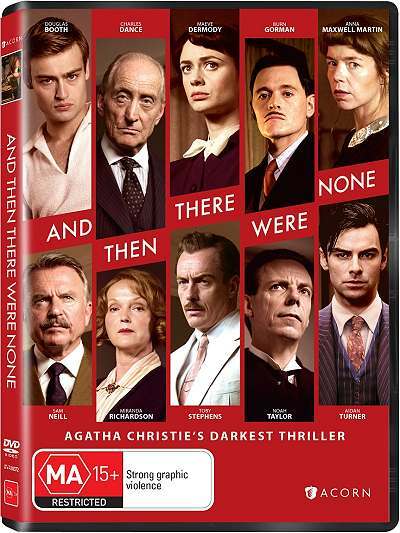 RLJ Entertainment and BBC One Agatha Christie title AND THEN THERE WERE NONE will be released on DVD in Australia May 4th. To celebrate, they have given us three boxed sets. The three part series tells the story of ten individuals invited to an isolated island, where they are killed off one by one by an unknown killer. It's Christie at her darkest and most sinister and has seen many adaptations in the past. This latest incarnation returns to the dark roots of the story and was written by Sarah Phelps (Great Expectations, Oliver Twist) and produced by Mammoth Screen (Parade's End, Endeavour). AND THEN THERE WERE NONE stars Australia's own Maeve Dermody (Black Water, Beautiful Kate), Sam Neill (Peaky Blinders, The Tudors) as well as English stars including, Douglas Booth (Great Expectations, The Riot Club), Charles Dance (Game of Thrones, The Imitation Game), Burn Gorman (The Dark Knight Rises, Torchwood), Anna Maxwell Martin (The Bletchley Circle, Death Comes to Pemberley), Miranda Richardson (Mapp & Lucia, Parade's End), Toby Stephens (Black Sails, Jane Eyre), Noah Taylor (Peaky Blinders, Game of Thrones) and Aidan Turner (Poldark, The Hobbit Trilogy). We have five double passes to see The Man Who Knew Infinity in the cinemas courtesy of Icon Film Distribution. You just take the pass to a theatre where the film is showing and swap it for tickets. Easy. 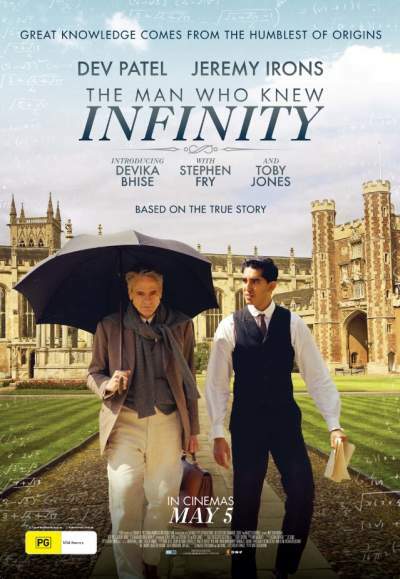 The Man Who Knew Infinity is the story of Srinivasa Ramanujan (Dev Patel). In Madras, India he cannot get a job as a mathematician because he has no degree, but he finally finds work as a clerk. His boss encourages him to apply to G. H. Hardy (Jeremy Irons) at Cambridge for help in getting his work published. He leaves behind his young wife, his mother, and everything he knows to follow the numbers. Crossing the seas is against his (Hindu) faith, but he does so, and he lives a precarious existence in Cambridge rooms maintaining his vegetarian diet in 1914. Two fully paid studio internships at Weta Digital in Wellington N.Z. are available. We have confirmed that this is legit, even though it's not listed in the jobs section of Weta's web site. 1 x Animation Department: Fully paid. 4 week internship program. 1 x Creature Department: Fully paid. 4 week internship program. Closing date for entries is the end of May. Voting is conducted in two parts. One involves a public vote for People's Choice. The other is conducted by the industry judging panel.